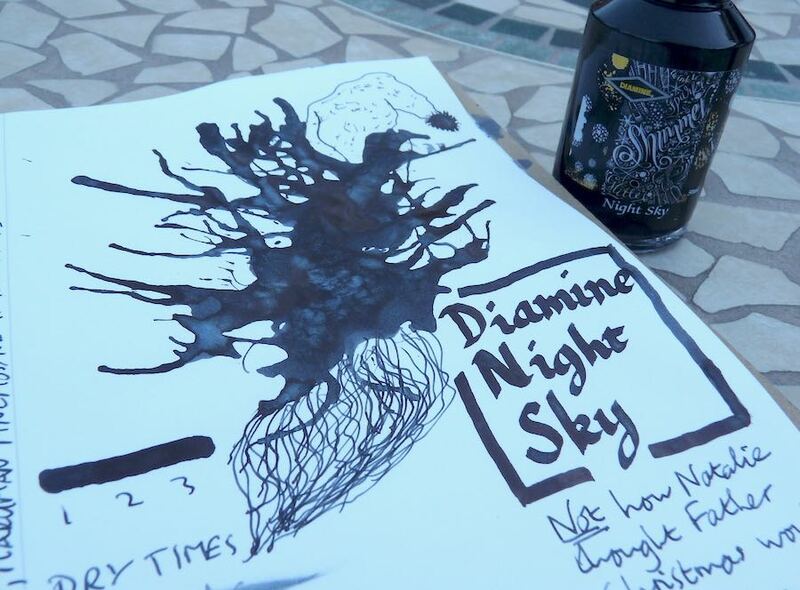 Diamine Night Sky Ink Review – Pens! Paper! Pencils! This is one of Diamine’s shimmery inks and it’s quite a tasteful one (unlike some). The silver sparkles nicely against the black and it really does feel like a crisp winter’s night sky. You’re not going to get the best out of this ink in anything but the broadest or stubbiest of nibs. 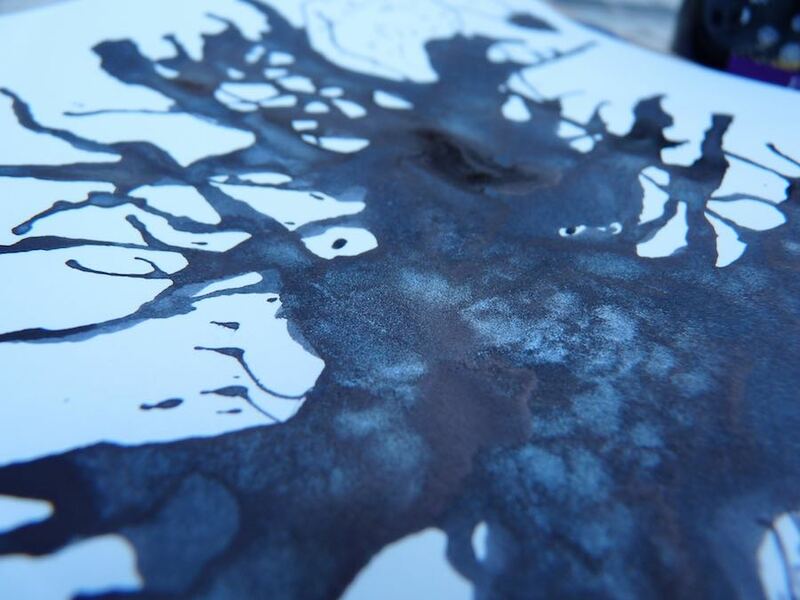 You should also be careful not to leave the ink in too long and to wash it well afterwards. 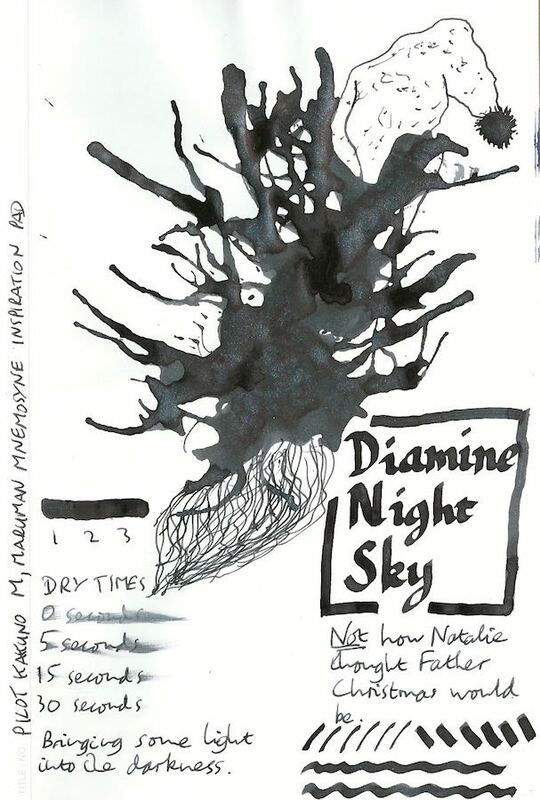 You can find some more reviews of Diamine Night Sky on Pennaquod. I first reviewed this ink for The Pen Company, who sent me this bottle free of charge. I also received a sample from Pure Pens.